Do you feel rundown, tired, and irritable? Do you notice swings in your mood? Are you unusually nervous? How about your appetite - have you not been enjoying eating even in the company of friends or in front of your favourite food? These are but a few signs of vitamin B deficiency. 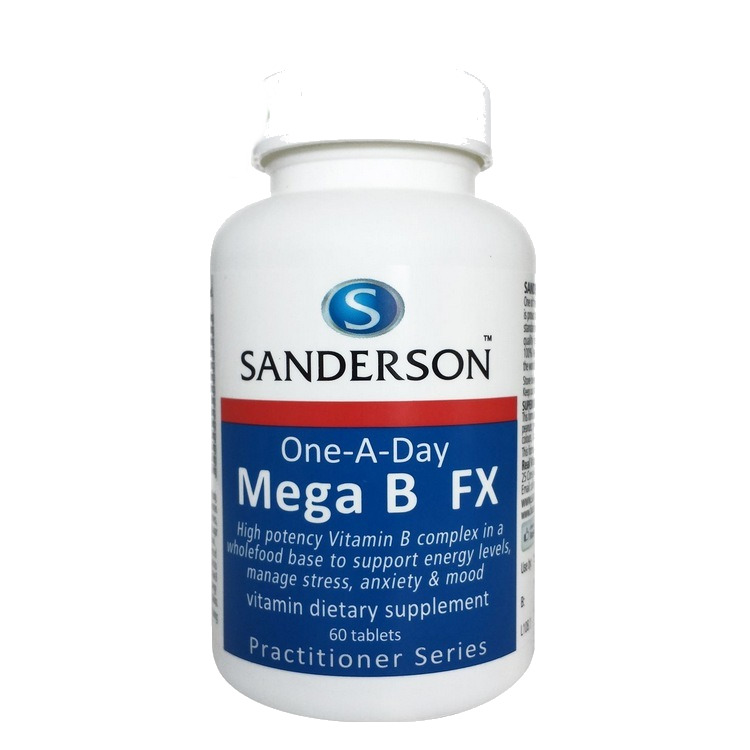 The good thing however is it can be reversed with the help Sanderson One a Day Mega B FX. A high potency vitamin B complex in a whole food base formulation, it supports optimum nutrition in order to help the body cope with daily challenges and perform at its best. One tablet daily with food or as professionally prescribed. 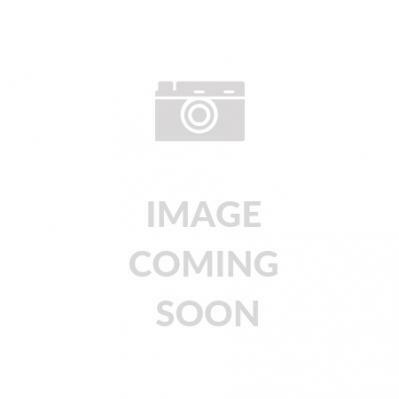 Why the need for a B group vitamins supplement? The B group vitamins are water-soluble and are not adequately stored in the body. 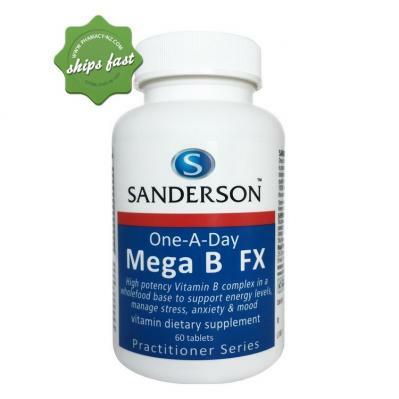 Therefore there is a need to replenish B vitamins daily to support many body functions. Deficiencies of one or more of the B vitamins can easily occur, particularly during times of stress, fasting, and weight-loss, or with diets high in refined and processed food, sugar or alcohol. Alfalfa (Medicago sativa) - a native of Asia but now popularly used in Europe, Canada and the U.S, it is considered to be one of the first known herbs to mankind. A member of the Pea family Fabaceae, ancient ancestors considered it as vital to their everyday lives. It is often used to feed animals because it has the highest nutritional value of all the hay/forage crops. Watercress (Nasturtium officinale) - an edible plant that is exceptionally rich in vitamins and minerals, it has a mild hot mustard flavour that is very good for use in fresh salads or on a sandwich. The seed is ground into a powder form and used to prepare mustard. It is long regarded as both food and medicinal plant. This herb boasts many nutrients including: Arginine, Aspartic-acid, Beta-carotene, Biotin, Folacin, Glutamic-acid, Glycine, Histidine, Isoleucine, Lysine, Methionine, Pantothenic-acid, Phenylalanine, Serine, Threonine, Tryptophan, Tyrosine, and Valine. Parsley (Petroselinum crispum) - a native to the Mediterranean region of Southern Europe, this herb was primarily used as a medicinal plant even before it was consumed as food. An excellent source of vitamin K and vitamin C as well as a good source of vitamin A, folate and iron. Parsley's volatile oil components include myristicin, limonene, eugenol, and alpha-thujene. Its flavonoids include apiin, apigenin, crisoeriol, and luteolin.